One to one Pilates sessions are available with Andy a qualified pilates instructor . Pilates aims to improve postural awareness, core stability and restore movement control. This is particularly useful for people with back pain and shoulder and neck pain. Often muscle imbalance in these areas can lead to muscle aches. A pilates approach can address this by encouraging normal movement and control of the body. 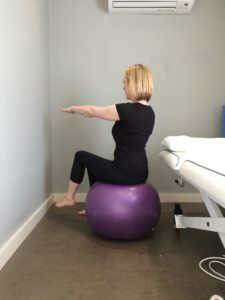 Pilates can be used alongside physiotherapy to aid recovery and prevent recurrence of injury or as a stand alone treatment. Having assessed your individual needs, your pilates session will be tailored specifically to ensure you get the most from it. This will include a combination of mat and gym ball work as well as more function based exercise. One to One Sessions of pilates can be booked with Andy at the treatment room and we are looking to provide group classes in the near future.